Leonardo Catalanotto was born in Caracas on 1966. His work in Opera began in 1993 as Substitute Maestro and Assistant Conductor at the Teatro Massimo “V. Bellini” of Catania. He has since been invited many times to the theaters such as the “Massimo” of Palermo, “Rossini Opera Festival” of Pesaro and by theaters in Düsseldorf, Lisbon, Sevilla and Geneve. In Florence at the Maggio Musicale Fiorentino he has worked as Stage Musical Director for the Verdi’s Trilogy and, successively, assisted Maestro Zubin Mehta, for the productions of Die Frau ohne Schatten, La Forza del Destino, Tosca, Tristan und Isolde, Rigoletto and Don Carlo. He earned his diploma in Orchestra Conducting at the Accademia Musicale Pescarese under the guidance of Donato Renzetti. He has been the assistant to Jesùs Lòpez Cobos at the “Real” of Madrid for Macbeth. He is regularly invited to China at the Conservatory of Music of Shenyang and in Japan in Sapporo, Shizuoka, Osaka, and Tokyo to give lessons on Italian Opera repertoire designed for lyric singers. He has worked at the National Center of the Performing Arts of Beijing (China) as a Singing Coach for Rigoletto, L’Elisir d’amore, Le Nozze di Figaro and Norma. He has been assistant to Lorin Maazel for Il Barbiere di Siviglia and to Myung-Whun Chung for Simon Boccanegra. He has directed in Japan the Gunma Symphony Orchestra in a highly received concert titled “Opera without words!” and, in China, the Oriental Symphony Orchestra of the Oriental Art Center in Shanghai. 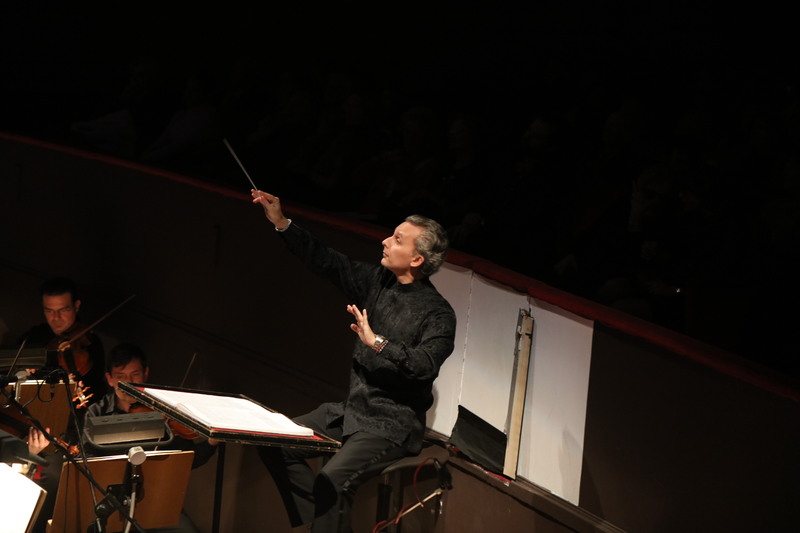 In addition to conducting numerous symphonic concerts, he has directed Madama Butterfly, Aida, Tosca, La Cenerentola, Suor Angelica, Gianni Schicchi, La Boheme, Il Barbiere di Siviglia. La Prova di un’Opera Seria at the Trieste’s Opera House. At the Bellini Opera House, in Catania, Le Nozze di Figaro (as cembalo director), Lucia di Lammermoor, Il Turco in Italia, La Straniera and La Rondine.